You must make reservations at least 5 minutes in advance of the time at Islands Fish Grill. Private restaurant parking is available in the rear of the building, as well as public parking on 6th Avenue. The restaurant is accessible from the parking lot as well as street frontage and host/hostess stand is in the rear entrance of the building. We have all of your catering needs covered! From appetizers for a small function to in house catering with a private chef, we cover all the bases. Call us at 3219560559 or email Amanda at islandsfishgrill@gmail.com. Islands Fish Grill is focused on what the restaurant is known for – serving up high-quality fresh fish, mainly caught off the shores of Florida, prepared in a variety of unique and creative ways. Chef Jared and Chef Nate filet fish daily to ensure only the freshest fish is brought your table. They pride themselves in pairing bright, colorful sides to enhance the natural flavor profile of the seafood. Less than a block from the beach, the casual atmosphere, and friendly service makes the experience complete. 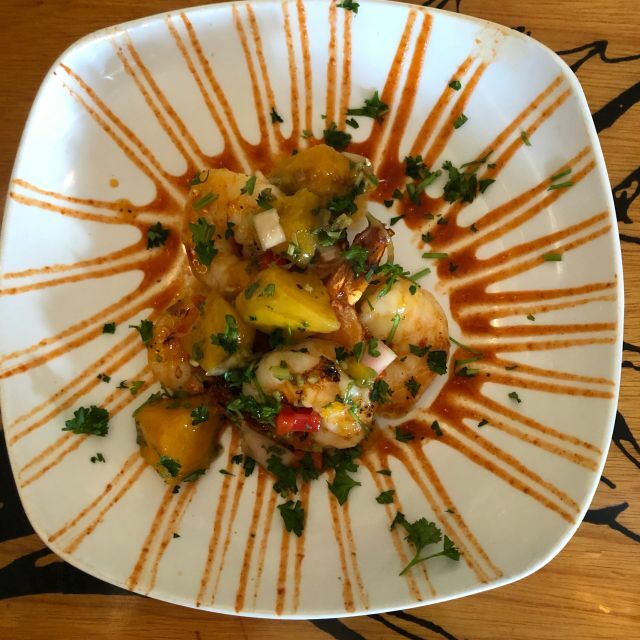 Fresh Fish, Florida Beer and Friendly Service makes for a great dining experience. Definitely one of the better fish restaurants in the area. The snapper was out of this world. Food coming out of the kitchen was a bit slow otherwise rating would’ve been higher. Still we’re going back. Really great place to eat! 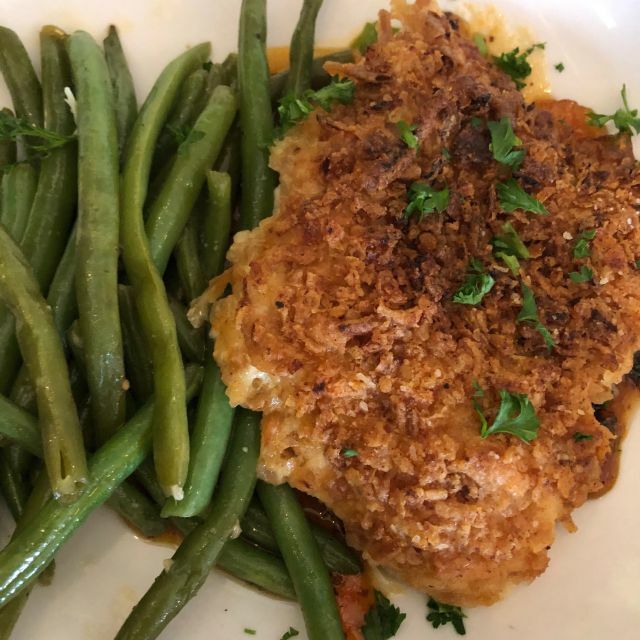 The onion crusted grouper is AMAZING! Everything I have tried here, I have loved. The acoustics are not ideal for a quiet dinner on a weekend (when it is busy, it is loud in the front room) but the food really makes up for that! Quaint restaurant tucked in the downtown area of Melbourne. Wait staff were superb. Food outstanding. I kept with their tried and true menu items. You can’t go wrong. Delicious onion crusted snapper!!! Awesome service!! If you love fresh fish then this is the place to go. 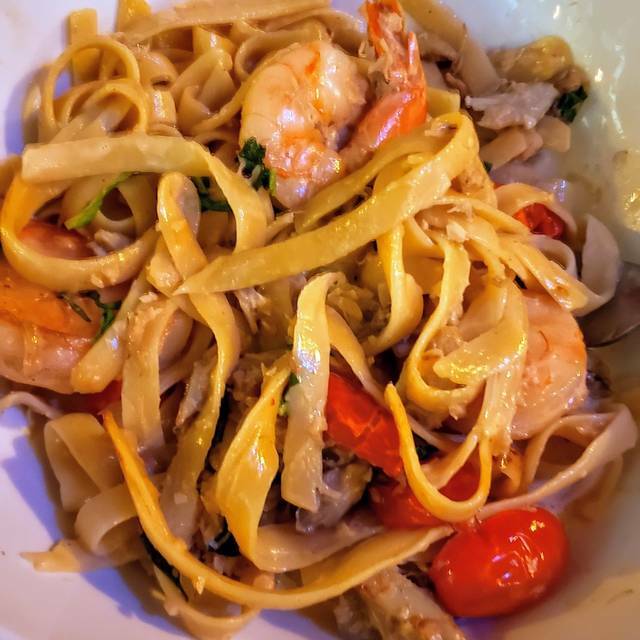 Absolutely delicious food, well prepared and excellent service. We have never had a bad meal at Islands Fish Grill. 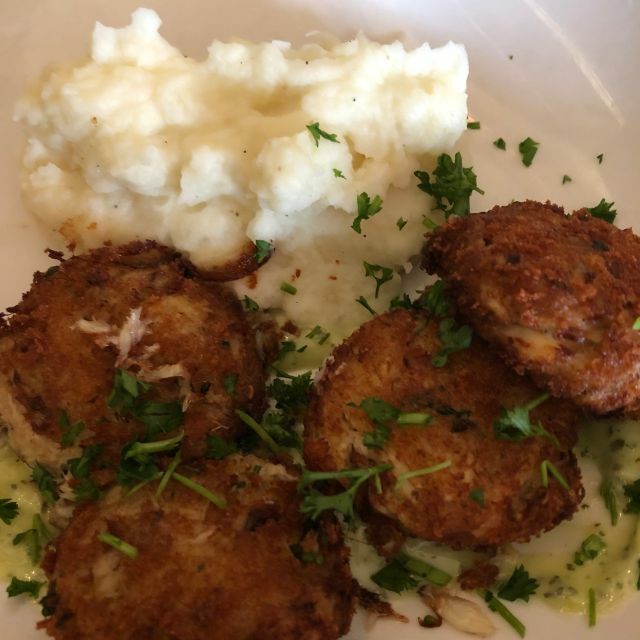 Crab Cakes & Crusted Grouper were awesome!!! Best seafood we’ve had since moving to Florida!!! Willy, you rock!!!!!! But please take a breath every now and then!!!!! 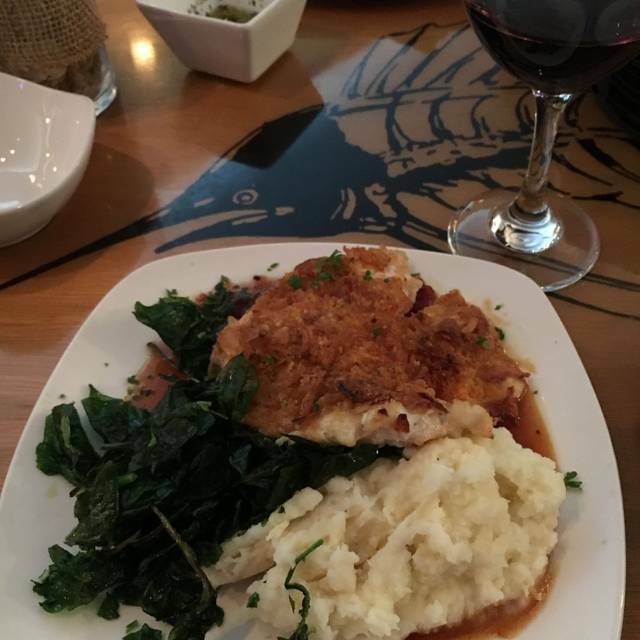 All was great and the onion crusted grouper was outstanding~!! 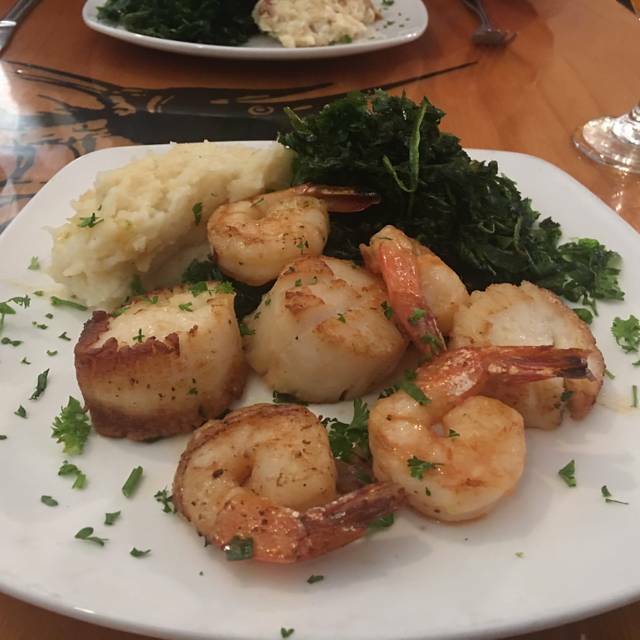 We discovered Islands Fish Grill a few years ago and it has become one of our favorites. Excellent entrees, great service and always an enjoyable evening. Me and my wife enjoyed are date night experience. The food was delicious the atmosphere was nice. Are server was very knowledgeable. 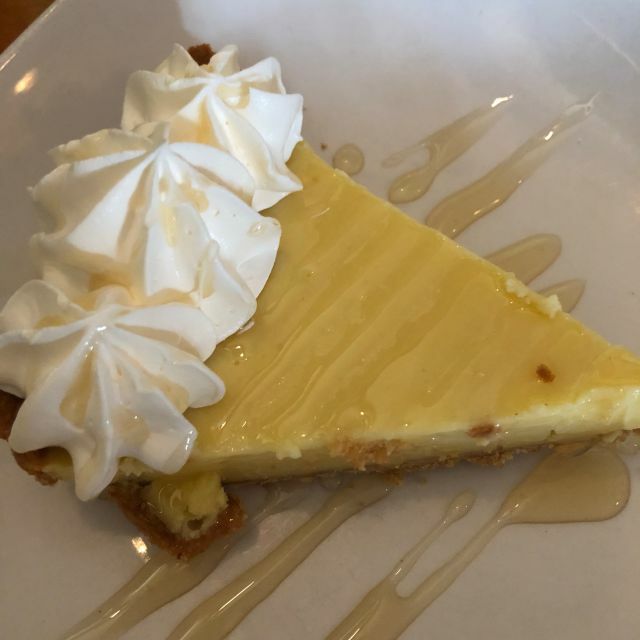 I recommended staying for dessert coconut pineapple pie is my new favorite dessert. We've been going to Island's for several years, maybe 3-4 times/year and it has always been good. This visit was fantastic. The waiter was great and, when my parents wanted to split a dish, he told me about the option to plate the split separately and they could each choose their own sides for a $5 upcharge. That worked perfectly for them. Our waiter was very good, I don't recall his name. The Conch fritters were good as usual, the crab bisque was a little disappointing - way too much spice, such that you could not tell there was even crab in it. For entrees, my parents split the onion encrusted grouper and my husband had the Corvina with the onion encrusting. All said very good except the green beans were really underdone. Borderline for me, but inedible for my step-dad. They said the grits were awesome. I had the crab cakes, green beans and Caesar salad - all was delish. For dessert we had key lime pie, always good, and a coconut pie which I cannot remember the name of. It was kind of like a transparent pie with coconut. Very good. The coffee mugs were HUGE and the house wines by the glass were just fine. Finally, I love that your credit card is processed at the table - I wish more US restaurants would do this as it is typical in some parts of Canada and much more secure. We had a good meal. The service was very good and the food was excellent. The only knock was the portions are moderate. I could have eaten twice as much as was served. But there is an ice cream shop across the street so we finished with a full belly. In town for business and didn't want to go to a typical commercial seafood restaurant. I wanted a place with fresh fish that locals like to frequent. Found this on OpenTable and thought I would give it a try. Menu is very limited (which typically is NOT a problem if there are meaningful choices) but the choices were all rather unhealthy. Looking for grilled fresh fish and some veggies. something clean and simply prepared without a lot of sauces. I should have also mentioned salt. everything was WAY overly salted. Veggies were either fried (spinach) or cooked in a lot of oil (green beans) there was a sauce which you could have on the side of the fish. That could have been just fine, if the fish also wasn't overly salted and seasoned. Disappointed in food preparation. but the service was very friendly and no problems with service at all. very nice people. When in Indiatlantic/Melbourne area, this is our favorite restaurant. We had a wonderful experience for our daughter’s 17th birthday! Service was great, food was fantastic! She enjoyed the cheesecake for dessert! Couldn’t have asked for a better dinner! Thank You!! Disappointed after reading the great reviews. Not great - just ok at best. Way overpriced for what you get. The grouper is outstanding! A must!! Everything was great!! It was a wonderful birthday experience. My family ate dinner here while on vacation. My husband had the onion crusted grouper and I had the shrimp/scallops combo with flavored grits and flash fried spinach. Everything was delicious! Our server, Mike, was very personable and we really enjoyed dining here. Best meal we had on vacation. We would definitely eat here again. Somewhat disappointing place. It’s a bit small and on a busy street. Parking in the rear was limited. Crab soup was excellent. Spinach salad was good. Onion grouper was dry, and taste dominated by the orange sauce. Fried spinach was interesting. Mashed potatoes were extremely salty, which made for an unpleasant taste experience overall. As such meal felt overpriced. All of the staff was so friendly! Food was delicious and prices were super reasonable for great quality food! Will come again! We look forward to dining at the Island Fish Grill each year when we visit Florida. 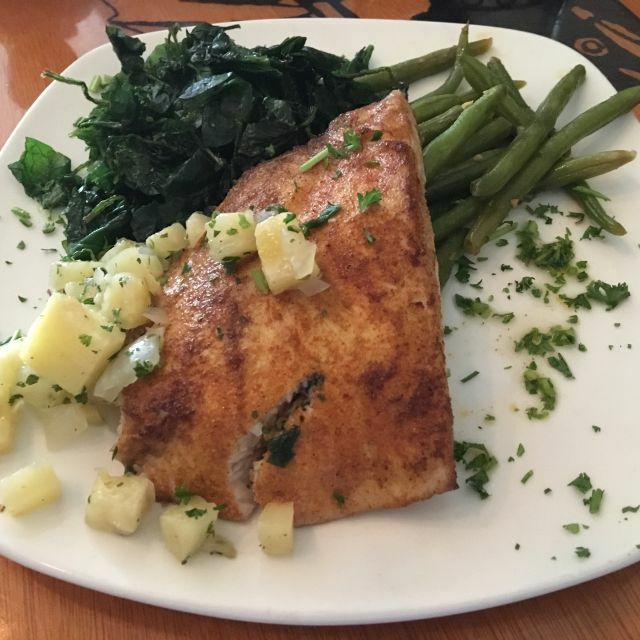 The fish is always fresh, delicious, and creatively prepared. The desserts are wonderful. The service is efficient and courteous. The wait staff is friendly and knowledgeable about the menu. Dining at the Island Fish Grill is a real treat. Our waiter Matthew was outstanding. We both enjoyed the snapper special and sides. They were excellent. The service was very slow, an hour passed from soup to entree, and the waitess forgot my salad completely. The mahi was acceptable, my wife's crab cakes were passable, and my friend's snapper was OK. Probably won't visit again. The experience did not justify the prices. Good food. Prices are good for off the boat fresh fish. Great restaurant for a nice dinner with the parents. The fresh catch was amazing and they have a good wine selection. Definitely return to this restaurant! Very fresh fish, well prepared. Great oysters and dessert but you come for the fresh fish. FRESH! The food was excellent and the service equally so. Great experience. We are always very happy with Island Fish Grill The service and the exceptional food!!!!! Delicious! 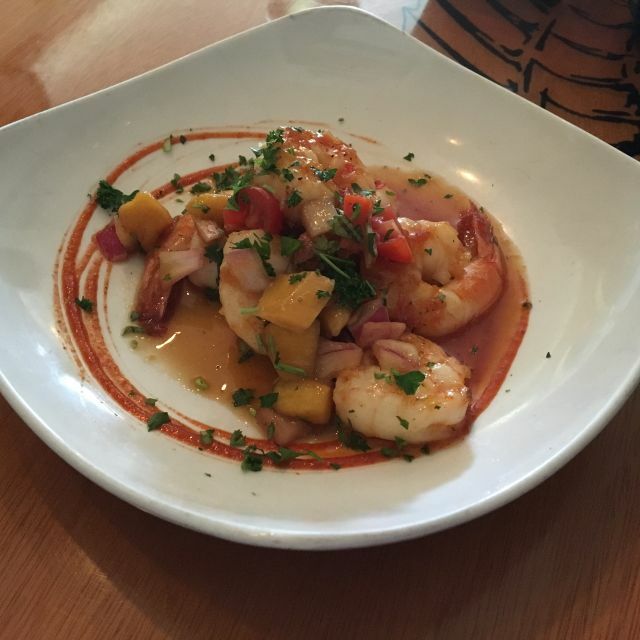 Great service, fresh seafood dishes. A great find! It was our first time there but it won't be our last. The food was delicious and well prepared. Our waiter was great and gave us excellent idea's on what to order. Very friendly atmosphere as well. This was our second visit to this restaurant. We sat in the front dining room this time and found it to be a little louder than the back room. The food is wonderful and the service is very fast. Unfortunately, when restaurants ask their wait staff to use tablets, the connection and engagement with your server diminishes. We found this to be the case here which took away from an overall five star experience. Excellent bisque soup and grouper with mashed potatoes and spinach. Incredible service by Michael! Definitely would recommend this local favorite! As always, the food was great. We had a party of 6 and were able to get a reservation. Everyone enjoyed their meal. Onion crusted grouper was delightful. Our meals were delicious and our waiter was funny and attentive, great service! We will definitely go back! Always enjoy the Island fish Grill. The food and service is great. its nice to have a selection of fish specials. Although loud because of the size of the restaurant it does not stop me from going!!! !